Food banks provide nutritious meals to families in need year-round. During the holidays, schools and businesses ramp up food drives. These donations help us make sure that families can spend the holidays focusing on their loved ones, not hunger. 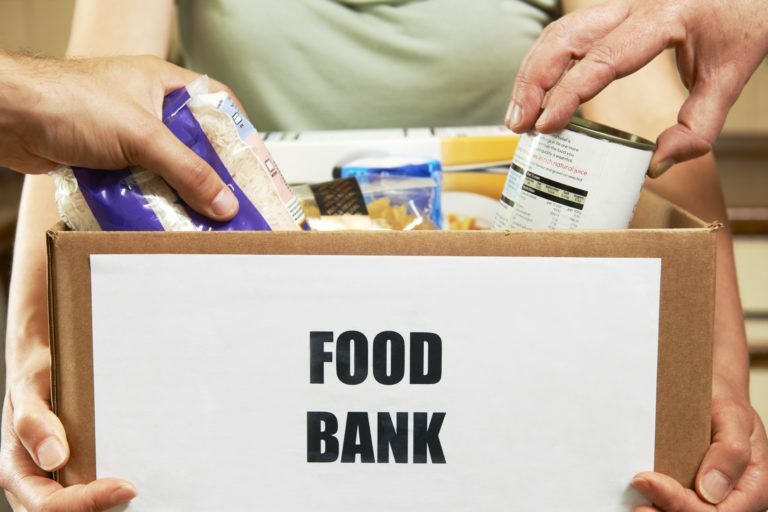 What Should You Donate to Food Banks? Peanut butter, low-salt nuts, and other protein-rich spreads and snacks. Canned protein items like tuna, chicken, and beans. Healthy grains such as whole grain pasta, oatmeal, and brown rice. Shelf-stable milk and powdered milk last longer than fresh milk. Healthy snacks like granola bars, dried fruit, and popcorn. Healthy cereals that contain nutrients like fiber, and no added sugars. Fruits and juices with no high fructose corn syrup or added sugars. Soups and canned vegetables that are low in sodium. Holiday foods like stuffing, cranberry sauce, sweet potatoes, and green beans are appreciated during the holidays. Spices and dry baking ingredients help families keep traditional recipes alive during rough times. Salt, pepper, and other seasonings add flavor to make nutritious foods more appealing. If you want to donate perishables such as produce, meat, or bread to our nutrition assistance programs, please contact us to find out how you can help. Remember, cash donations help us supply these items as needed. PreviousTax Credit–Charitable Giving for Free!